"Baltech team is truly amazing. Responsive, patient, and so intuitive in their design that I almost felt like they read my mind. Very impressed and will use them again for my next website. This is exactly what excellence looks like. " "I have found Baltech team to be incredibly fast, professional and flexible. Their communication is always great and we would recommend them to anyone." I had looked for months and tried and tested other companies to help us with our project and did not have any luck at all. Good news is i found this great company called Baltech i explained what i wanted and was open to their feedback and at the end of the day an AMAZING project was completed to my satisfaction. I wish i could rate them 10-STARS on all levels because they really were a very gifted and talented TOP NOTCH company that has major skills to get the job done and done right so i highly recommend this company to all who are seeking a reliable responsible quality service driven company that will meet your needs! Thanks again words can not express what you have done for our company great job and you have earned a lifetime customer!" "Baltech is a top notch company to work with. The quality of their work, the professionalism, attention to detail, professionalism and willingness to work till the job was perfect led to an ABSOLUTE WOW customer experience and a site that is high in quality and content. I would not hesitate even one minute to recommend Baltech. The management experience of the project was excellent and I truly look forward to working with them again in the near future on many more projects." "Great problem solving skills demonstrated by Baltech and the team with this job. This was the 4th time I had hired this team, and they seem to get better every time I use them. This team has now earned the right to be my exclusive "goto" team for all my programming and database needs. I would highly recommended this group to anyone who needs to get the job done"
"Baltech and team are absolutely top class - it has been a pleasure working with them and I am currently preparing my next project with them. Great design and development skills and quick to respond to emails and generally just friendly great guys. I can recommend these guys highly enough!" 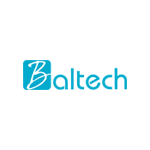 "My experience with Baltech has been wonderful! This has been the best experience I've had. Their knowledge, their professionalism, their communication, and their work is outstanding. I'm very pleased with the website they created. team was very responsive and was a joy to work with! I really like how they do business,and I will definitely use them again."